Join us at the monastery or livestream on Sunday, July 8th in celebrating Luang Por Pasanno’s sixty-ninth birthday and over twenty-years’ leadership as he steps back as abbot of Abhayagiri and leaves for a year-long sabbatical abroad. After serving as Abhayagiri’s abbot for over two decades, Luang Por Pasanno will step back from that role and enter a year-long retreat overseas. 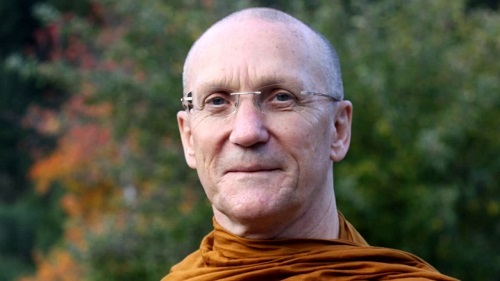 Though he plans on returning after this time to continue as an anchor of wisdom and guidance for the community, the monastery will remain in coming years under the active leadership of co-abbots Ajahn Karunadhammo and Ajahn Ñāniko. Join us to celebrate the birthday and well-deserved sabbatical of our beloved Luang Por after his nearly forty years as the abbot of monasteries in both Thailand and the US. The celebration will begin after the 11:00 am meal and continue until the usual 2pm Sunday program, which will also feature a talk by visiting teacher, Ajahn Sucitto. Please consult our calendar for more details. Although we have no capacity for overnight guests the weekend of July 6 - 8, all are welcome to come to Abhayagiri as day visitors.